There are 14 national park service sites in Texas as of 2019. None of these sites are shared with any other state. This national monument is located in Potter County and is one of the units of national park service sites in Texas. Since the ancient times, people had been coming to the red bluffs above the Canadian River in search of a flint, which is vital to their survival. The quarries in this site were a good source of the Alibates Flint that was used by the ancient people for hunting. Over time, these quarries were exploited by the Antelope Creek People; in fact, they even built multi-room and stone slab houses within the area. Today, the National Park Service manages the area and protects it from access to the public. Only ranger-led guided tours are allowed within this national monument. This unit of the US NPS encompasses the area within the Amistad Reservoir. This reservoir is located within the confluence of three rivers in Val Verde County, Texas: Rio Grande, Devils River, and Pecos River. The reservoir came about as a result of the Amistad Dam that was completed in 1969. The recreational area around the Amistad Reservoir is popular with tourists as it offers a wide range of activities. From boating to fishing, scuba diving, swimming, and water skiing – you can even do hunting provided that you abide by state and federal laws. As one of the national park service sites in Texas, this park also holds national significance. It is the largest protected area in the US featuring the Chihuahuan Desert topography and ecology. It is also home to over 1,000 plant species, 450 bird species, 56 reptile species, and 75 mammal species. The park was named after the large bend in the river along the Mexico-US boundary. The park is exemplified by the diversity and contrasts of its features from the temperature and the species that live in the area. Located in Southeast Texas, the Big Thicket refers to a heavily forested area that is described as one of the most biodiverse areas that do not belong to the tropics. The preserve was established in 1974 in order to protect the plants and animal species that live within the region. The site itself covers more than 112,000 acres of land. Together with the Big Cypress National Preserve in Florida, these two were among the first national preserves established in the country. 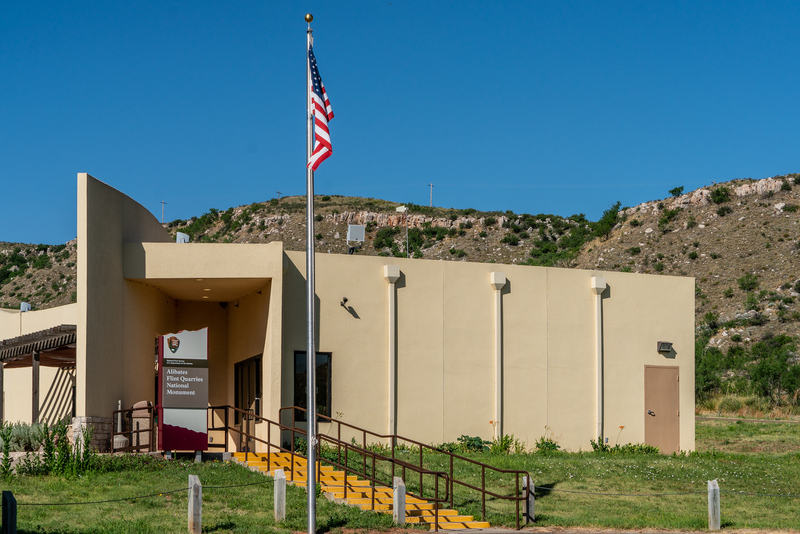 The Chamizal National Memorial in El Paso is one of the national park service sites in Texas. It is located close to the international border of US and Mexico. The site commemorates and preserves the Chamizal boundary dispute and the peaceful settlement that took place. This memorial park measures at a little less than 55 acres in land area. It is a cultural center wherein there is also an art gallery, amphitheater, and a theater. The museum is located inside the visitor center. Tourists can visit the museum if you want to learn more about the history of the US-Mexican border. This historic site is the last remaining example of a United States Army fort. Hence, it was included in the list of national park service sites in Texas. The fort was built in 1854 and covers up to 523 acres of land area. Since it was built in 1854 to 1891, Fort Davis served to protect emigrants, freight wagons and mail coaches who passed through the Trans-Pecos portion of the San Antonio-El Paso Road. The historic site includes 24 historic buildings and more than 100 ruins. Five of these buildings were refurbished in the late 19th century. Hence, visitors who come to the site will feel what it was like being on the site during the height of its development. Nearly 56,000 tourists visit the site each year. This national park is centered on the Guadalupe Mountains in El Paso, Texas. The Guadalupe Peak is the highest point in Texas and is, therefore, the main feature among this mountain range. This mountain has seen a tumultuous history and archaeologists have collected evidence that shows people had lived around the caves in the area for more than 10,000 years ago. These early settlers in the area were hunter-gatherers and also depended on the vegetation in the land to survive. There are several fauna species who live within the land of this national park including such as black bears, bobcats, elks, gray foxes, badges, mule deer, and cougars. Meanwhile, there are 3 ecosystems in the area of the mountain range. It encompasses deserts, canyon interiors, and alpine uplands. 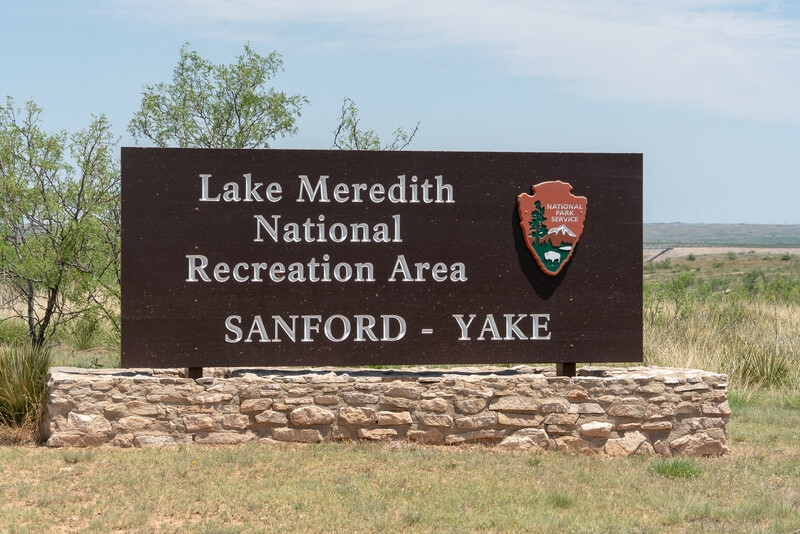 This national recreation area is another unit of the national park service sites in Texas. Lake Meredith is the main feature of this national recreation area. It is an artificial reservoir measuring at 10,000 acres in size. It was created along with the Sanford Dam within the Canadian River. Since it was established in 1990, this attraction gets over half a million visitors per year. There are several recreational activities in the site including fishing, swimming, hiking, camping, boating, and hunting. There are several boat ramps in the site that enables tourists to explore any of these activities. This unit of the national park service sites in Texas is dedicated to the 36th US President, Lyndon B. Johnson. 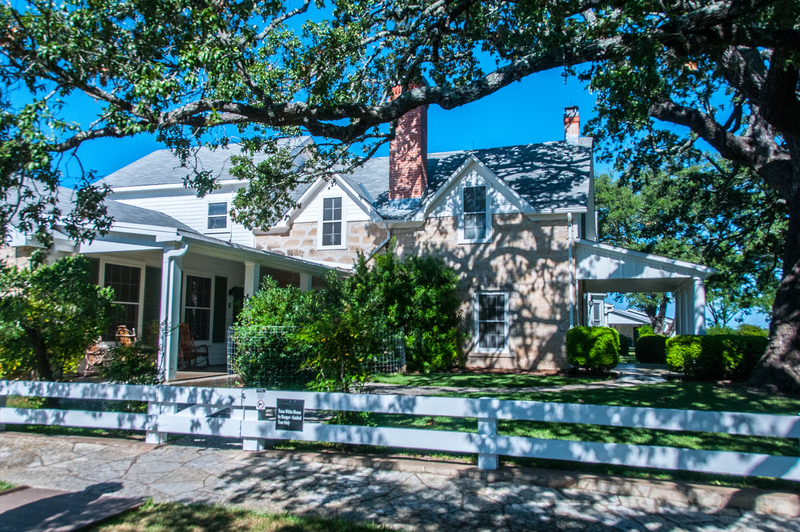 The historical park preserves the birthplace, home, ranch and final resting place for the former president. The site is located 50 miles west of the state capital, Austin. This site goes by several names including LBJ Ranch and Texas White House. The main reason for the popularity of the site is due to the great deal of time that the then-President spent in this house ad his ranch during his seat. This national seashore is located on the Southern coast of Texas. It is located in Padre Island near Corpus Christi. The island is best known for its beaches and a spot for vacationing college students. The site measures at over 130,000 acres and features a long beach that is highly preserved. Majority of the property is untouched and had been preserved from its primitive form. However, there are also camping sites near this national seashore and most of the beaches are accessible via 4WD vehicles only. Since it was established in 1962, an average of nearly 667,000 tourists visits the site each year. This is another unit from the list of national park service sites in Texas that commemorates a former battlefield site. The Battle of Palo Alto took place in May 1846 within this same grounds which the park aims to preserve. This battle served as the first major battle concerning a border dispute that ignited the Mexican-American War. The historic site showcases the remains of the battle both from the perspective of the US army and that of Mexico. The park also features a visitor center wherein there are exhibitions depicting the war between the two countries. A 15-minute film called “War on the Rio Grande” is also shown on the visitor center for tourists to see. This 196-mile park was established in 1978 and protects the Texas portion of Rio Grande. There are three counties that are covered within the protected area of the scenic river area: Val Verde, Brewster, and Terrell. A portion of this scenic river also belongs to another unit of the NPS in Texas: Big Bend National Park. Within this site though, the rugged canyons and the recreational area near the river are preserved and protected. 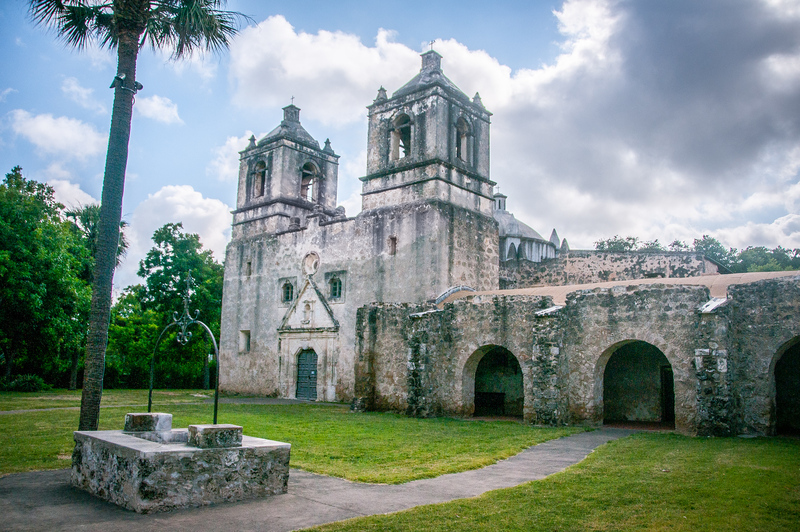 The San Antonio Missions National Historical Park is not only one of the national park service sites in Texas, it is also a UNESCO World Heritage Site. The designation protects four out of five Spanish missions built in San Antonio during the 18th century. The Catholic religious orders commissioned the building of these missions to help in the spread of Christianity in the area. It was also part of the Spaniards’ colonization system that went on for three centuries. Hence, it was listed as a cultural site under the UNESCO World Heritage Site designation. It was established as a national historic park in 1983 but was entered into the UNESCO list in 2015. This paleontological site and museum are located in Waco, Texas. The site is home to fossils of 24 Columbian mammoths and other mammals that dates back to the Pleistocene Epoch. It is believed to be the largest concentration of mammoths ever discovered. According to archaeologists, Columbian mammoths existed up to 1 million years ago. Hence, the site is unique in its preservation of such paleontological artifacts.